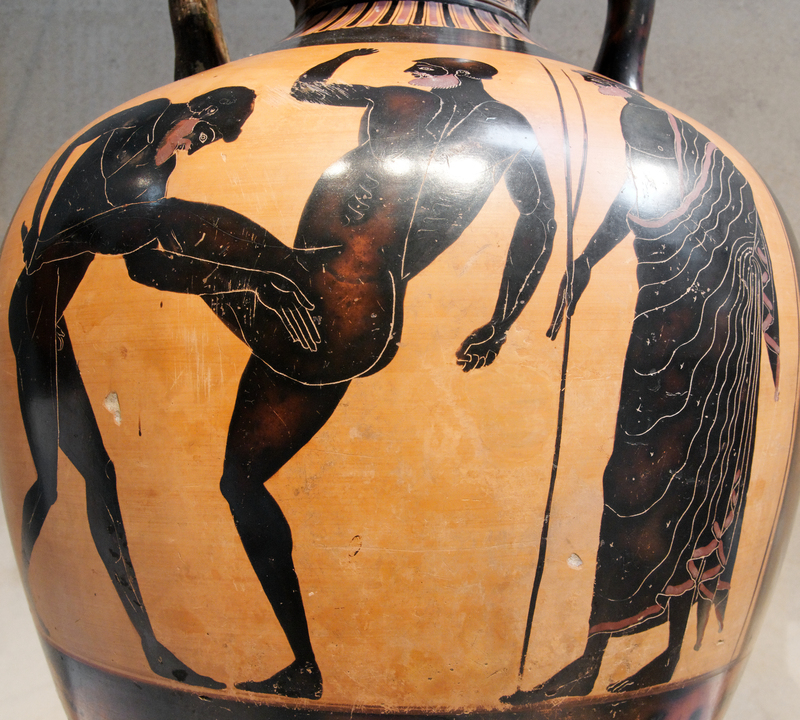 Could the Ancient Olympics have a link to the Normandy Tournament? I was watching a documentary the other day about the ancient Olympics, and was struck by a few things which seemed useful for Ars Magica play. The first is that if you had a great bard like Pindar in your service, and you won at the Olympics, he could convince people you were so amazingly skilled that this indicated you were more than mortal. You had the Blood of the Gods. The odd thing here is that the person Pindar lionised had two sons, and each of them also won at the Olympics. The Blood of the Gods appears, in this case, to have been a genetically transmissible Virtue. So, I’d suggest Pindar is a faerie who has the Grant Virtue power, and can actually give the Blood of the Gods to a person. Much the same way that if a magically-created horse leaves footprints which do not disappear when its spell duration ends, so too even if Pindar were to disappear or withdraw his Virtue from his patrons, his sons would still retain the Blood of the Gods. A second point I found interesting was that when you were presented with your wreaths, to indicate your victory, you stood before a statue of Zeus and it was believed he looked into your heart and, if you credited your own strength for the victory, he destroyed you with a lightning bolt. That’s a Humble Personality trait check. Let’s assume that the priest handing out the awards is the Mystogogue, and is required to have a positive Presence to have his role. Also, let’s assume the athlete knows enough about the Olympic cult to give an Ability score of 3. So, that gives us a stating score of at least 4. Can we creep up on the 15 required to initiate a minor virtue? Assuming the priest has a Presence higher than 1. The chief official at the Olympics is presumably excellent. We can assume the athlete has a higher Cult score. by adding an Ordeal, for example one which gives a Personality or Story Flaw. A Sacrifice may add up to +6, depending on what you destroy on behalf of Zeus. The interesting question then is, can we work from this older, partial script to the Normandy Tournaments. We might again assume the mystogogue, who is presumably from House Tytalus, has a Presence higher than 0. Some of the Leper-magi have huge Presence scores because of the terror their condition evokes. Were I to suggest that the games are run by and for House Tytalus, and that House Tytalus Lore sufficed as a cult lore, that makes the score markedly easier to reach. An Ordeal, of course, fixes everything. A Sympathetic bonus is possible, if the final virtue is suitable. A sacrifice might also work. Destroying a talisman, for example. So, there’s a loose structure here that may suggest that the point of the Normandy Tournaments is to prove a Quest for magi on a mystery path. Next articleArs MagicaIs there a better way to model longevity rituals? I think the Mystery mechanic (and the related Pilgrimage mechanic) are a welcome addition to the game as story driven means of advancement and acquisition of new Virtues / Flaws. One aspect I feel is underused is the potential for Mystery Initiation mechanic to allow for un-Gifted character progression, although this is touched on briefly in Grogs admittedly. Wouldn’t it have to be the mystigouge rather than the athlete who need to have a higher initiation score?. You’ve not included the issue of the humble personality test in the initiation at all, is there a way to fit this in? You’ve listed “defeat the most skilled warriors in the known world in hand-to-hand combat” as one quest but it doesn’t take too much of an alteration of perspective to split this into multiple quests one for each of the skilled warriors being faced. I can see the danger of a slippery slope going on here but I think that a story guide ruling could be made that is more generous without being inappropriately easy. Training for years seems to me worth more than +1.The relevant text from page 15 is “+1: The Initiate sacrifices time (typically a season) serving another in the cult (one bonus only)”. I could see making this more than +1 for the sacrifice of a year or more even though it is not in complete agreement with the text it seems to be a better alignment with the spirit of it. Yes, I think the current toolkit, which only allows a little time, might be modified, and you could argue the personality trait check concludes the Quest. What you -could- do is say the training for years is some sort of flaw? Like, after you win, you can’t really use the skills for anything, so perhaps it’s like the flaw that time-lost people have in Grogs, where they have all of these spent XP they can’t do anything with?